Lesley Collett gained a degree in Archaeology from Lancaster University and spent a number of years working in the field before gravitating into the drawing office in the late 1980s. She has worked as an archaeological illustrator for a number of commercial field units including Essex County Council, Northampton Archaeology and Oxford Archaeology, and has been the Graphics Officer at York Archaeological Trust since 2002. She has 25 years’ experience of archaeological graphics, producing a vast range of material for publication, in both ‘traditional’ and digital media, and is also experienced in desktop publishing and pre-press, producing the majority of YAT’s publication in-house. She joined the IfA in 1986 and the Association of Archaeological Illustrators & Surveyors (AAI&S) in 1988; was a Council member of the latter from 1999 until its merger with the IfA, and has been involved with the running of the IfA Graphic Archaeology special interest group since its inception. 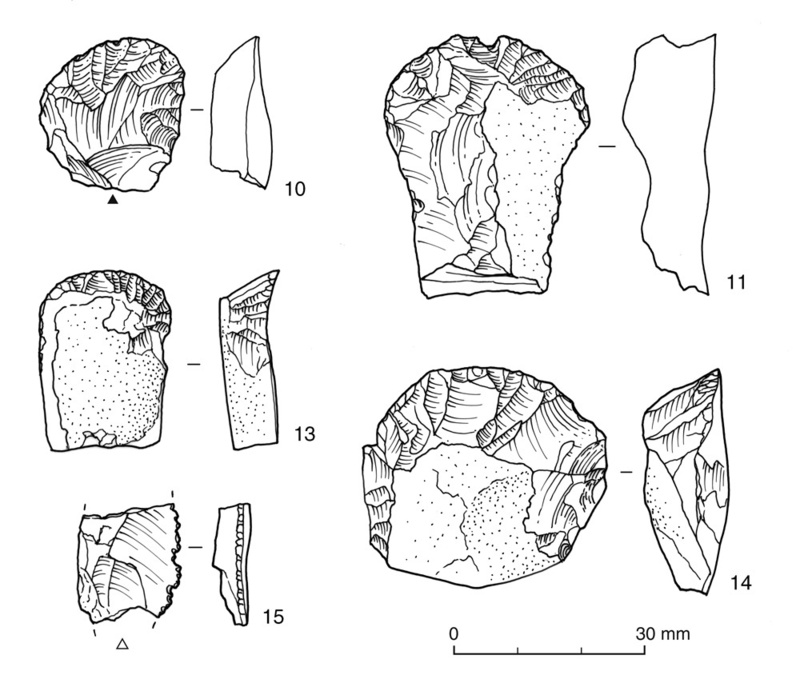 She has written the IfA Professional Paper on drawing archaeological pottery. 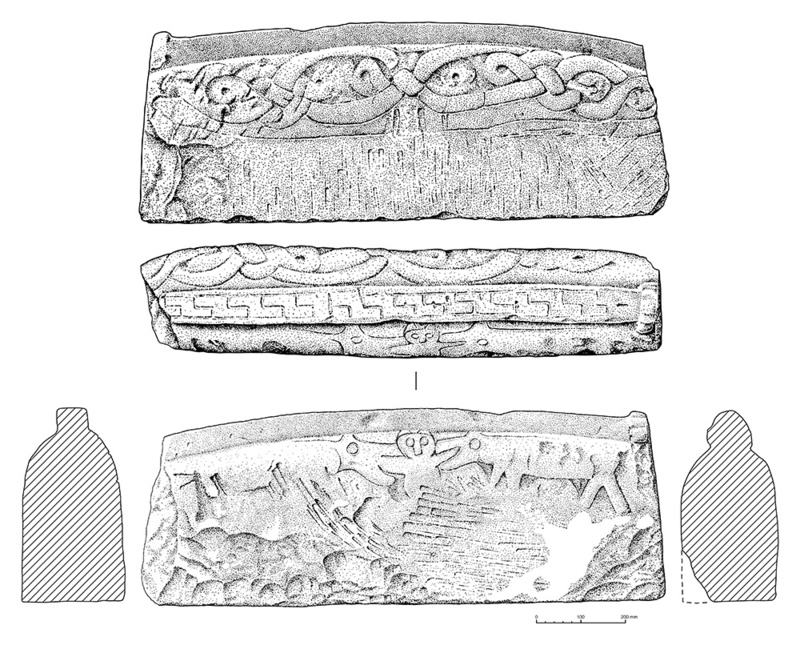 Hogback tombstone from Lythe church, North Yorkshire. Flint assemblage from the site of Clifton Park & Ride, Nottingham; for Trent & Peak Archaeology. 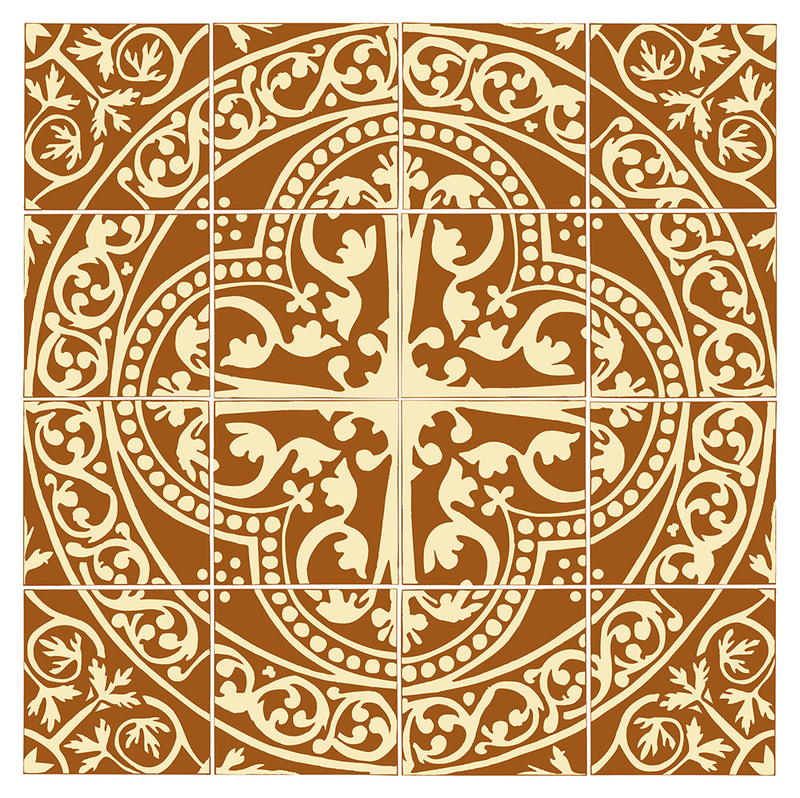 Arrangement of decorated medieval floor tiles from Bordesley Abbey, Worcestershire. 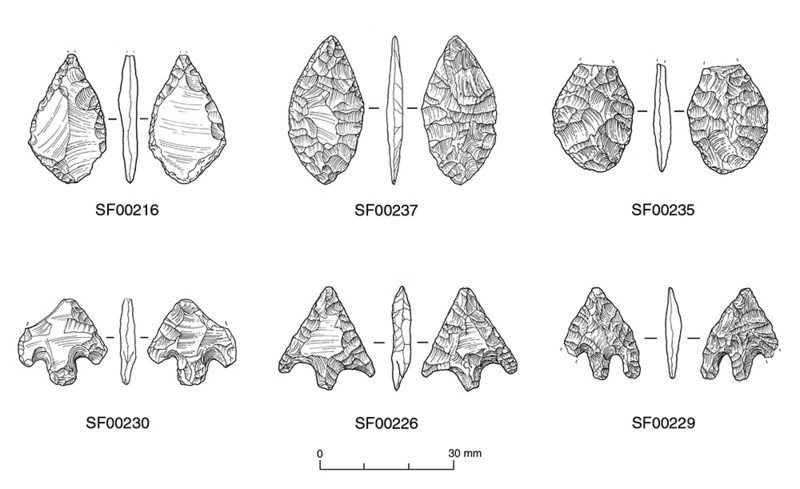 A collection of late Neolithic and early Bronze Age arrowheads from fieldwalking in the area of Blansby Park near Pickering, North Yorkshire. 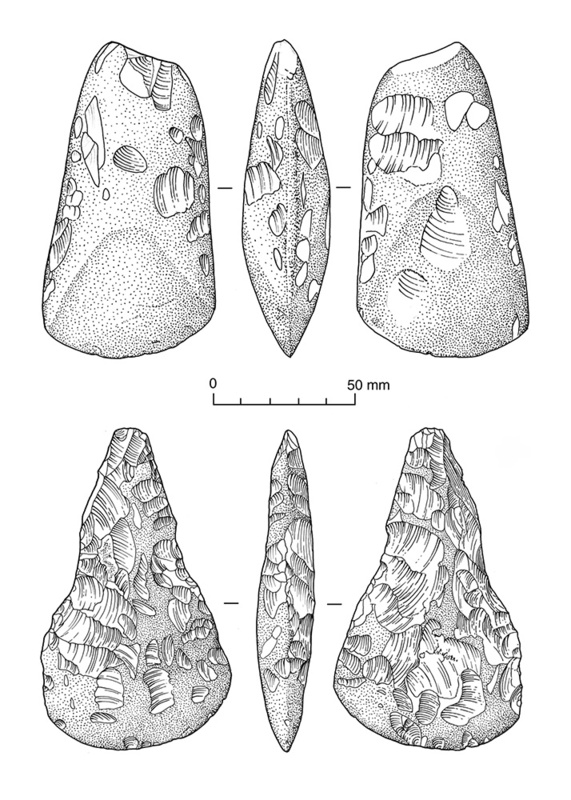 Flint axes from Blansby Park, near Pickering, North Yorkshire. 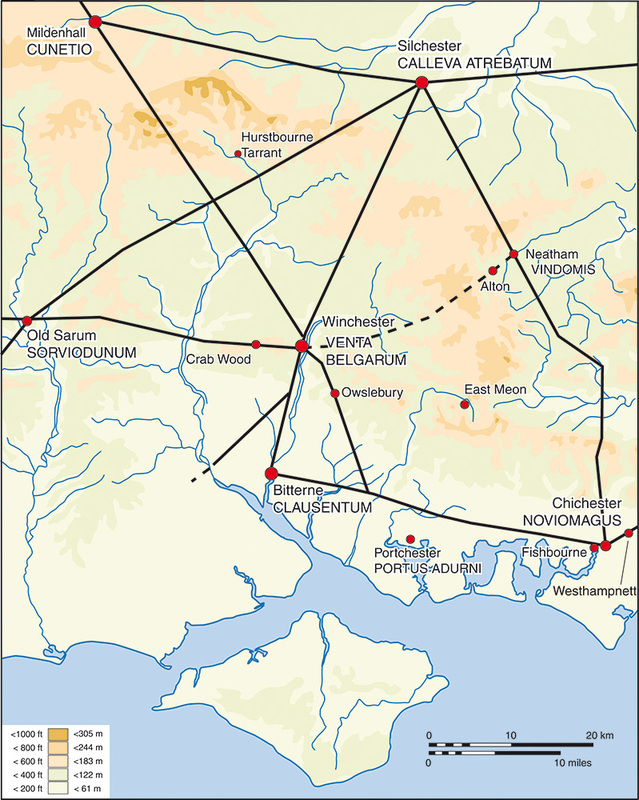 Location of Roman sites and relief map of the Winchester area. 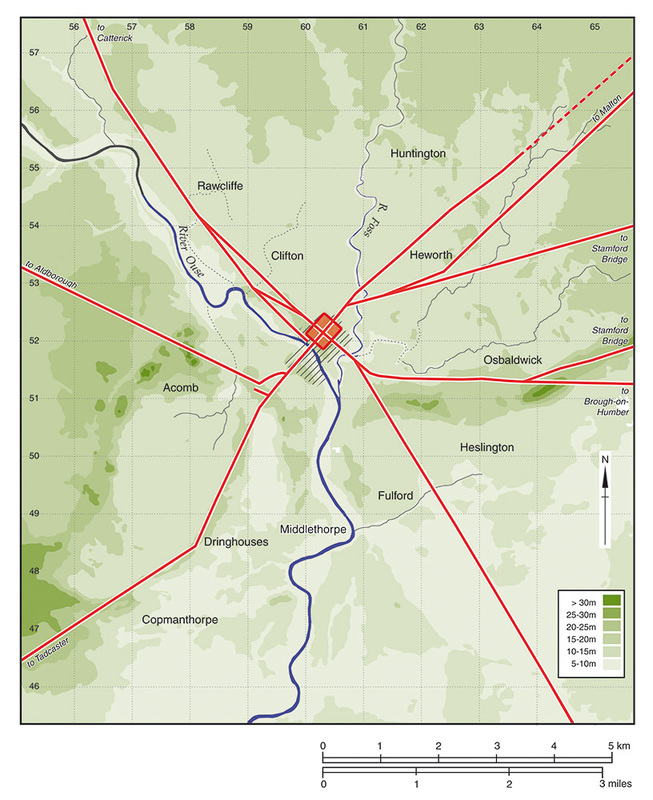 Location of Roman features and relief in the vicinity of York. 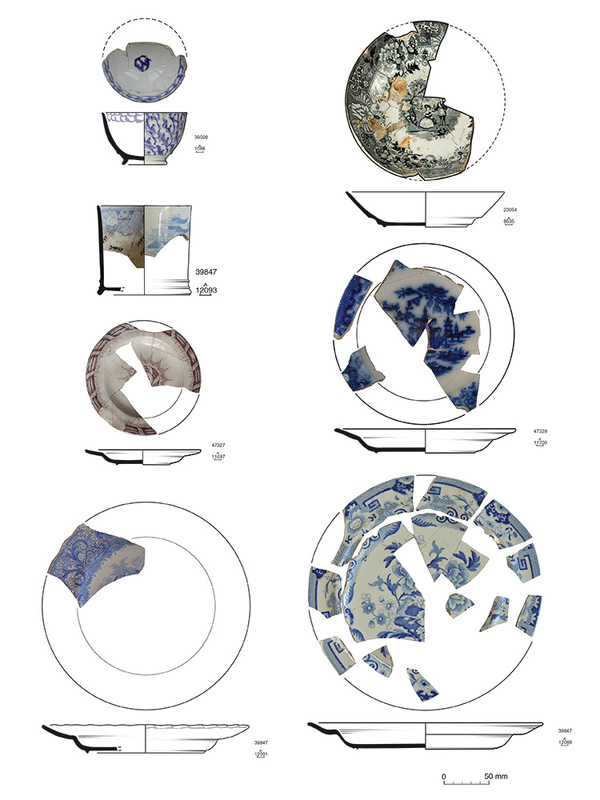 Post-medieval pottery from the site at Hungate, York; composite illustrations. 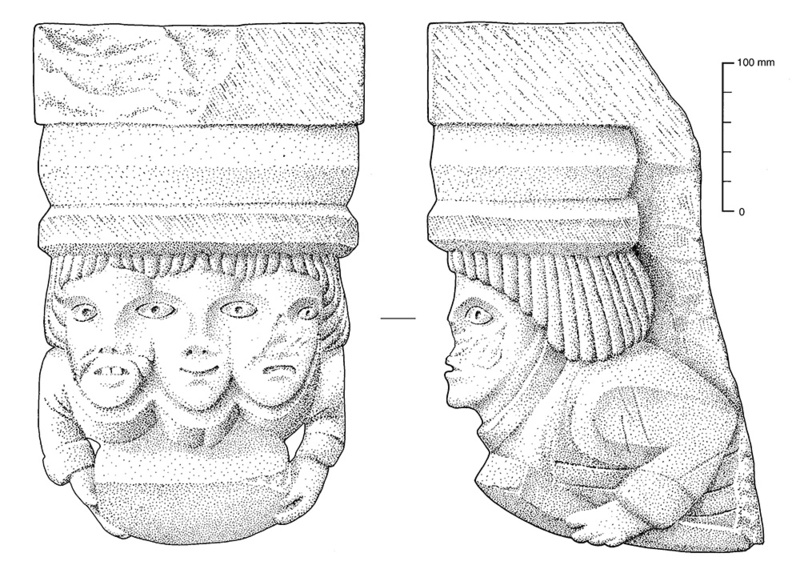 Limestone corbel, on display in the Rievaulx Abbey visitor centre. 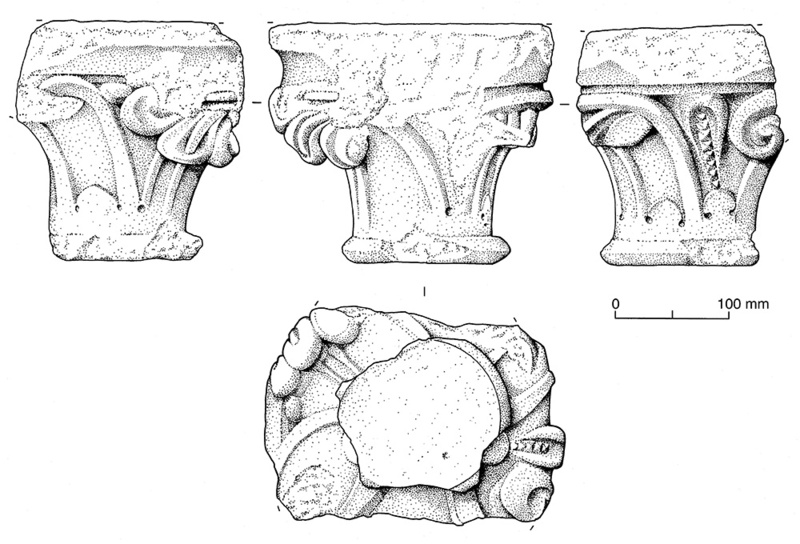 14th-century limestone capital, re-used in the foundation of a medieval structure excavated at 16-22 Coppergate, York. 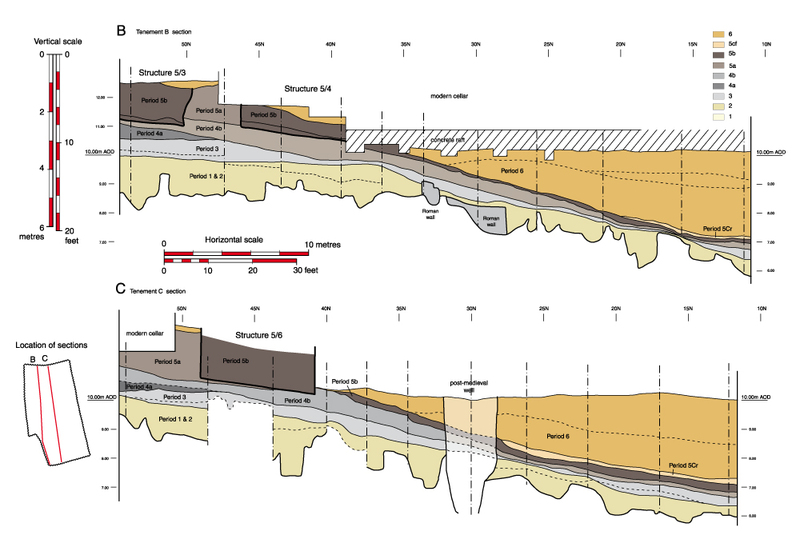 Schematic phased sections through the Anglo-Scandinavian deposits at 16-22 Coppergate, York. 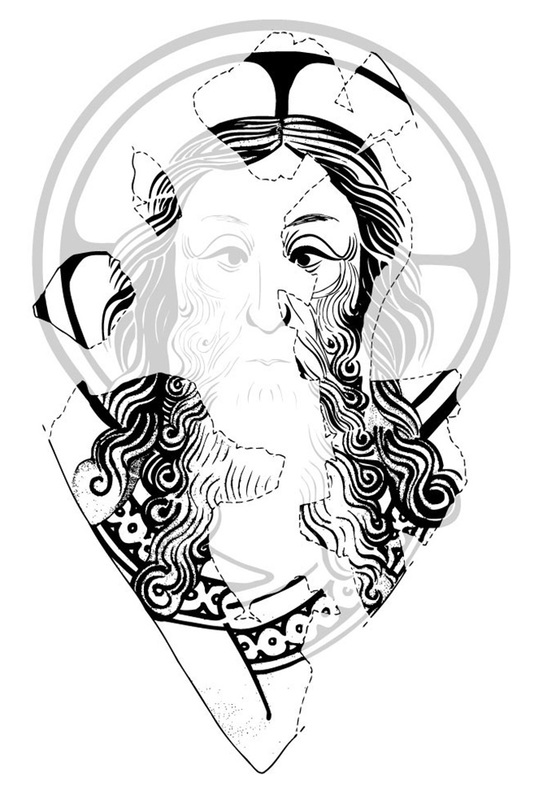 Head of Christ, reconstructed from a large number of fragments of painted window glass excavated from the choir area at Bordesley Abbey, Redditch, Worcestershire.